When I say “whisky” (for anyone not 100% clear on this), I mean Single Malt Scotch Whisky – not Bourbon, or Irish whiskey, or blended whiskey, or any of the other things that go by a similar name. Whisky is something which has brought me many new experiences ever since first tasting it in around 1993. Accumulating – and then demolishing – a modest collection back in Australia, my transition to this side of the world has meant greater access to a greater variety of styles, and it seems silly not to share a few highlights with you now. I might hasten to add that I don’t own all of these things (in case you’re wondering)! 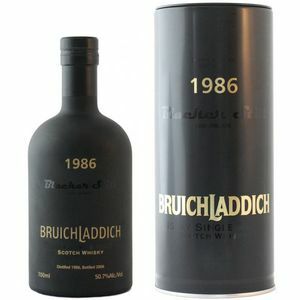 Bruichladdich Blacker Still – I like to think of this as Spinal Tap Whisky, because how much blacker could the bottle be? None… none more black… We first learned of it at The Machrie Golf Course bar on our Great Whisky Tour of 2007 – its smoky, sweet, dark flavours had us interested straight away, and our mission for the rest of the trip was to try to snag some. 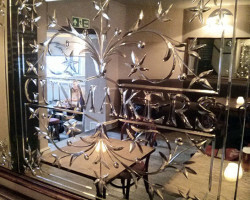 Sadly, the distillery claimed that they had none left), and our hunt high & low proved fruitless. It turned out that part of the reason for scarcity was that it was a release of about 2500 bottles. We managed to track a couple down in Germany though. They’re hens’ teeth now though. Bowmore Darkest – it’s obvious from these first two entries that my predilection is for sherried peaty whiskies, isn’t it? 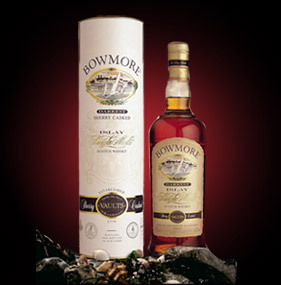 Bowmore Darkest is exponentially cheaper and easier to find than The Blacker Still, however. It’s a bit drier and saltier, but still backs that “peaty fist in a velvet glove” that I love. The old bottling (pictured here) was a 14yo, and the newer packaged one is a 15: differences subtle, but still a lovely dram. We presented a bottle of this to Uncle Robert as a thankyou for the Edinburgh trip in 2007, and we polished off 2/3 of it over dinner. 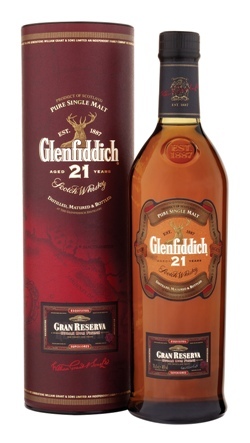 Glenfiddich Gran Reserva – back on the expensive shelf, this 21yo Speyside whisky is aged in Caribbean Rum casks. The original bottling was entitled “Havana Reserve”, but apparently this didn’t impress the US consumer market, so it got a retitling. It’s since been through again and bears the imaginative moniker “21 Year Old Caribbean Rum Cask”. It’s got nice chocolatey, coffee flavours to it, as well as a bit of citrus, and the smooth maltiness of the aged Glenfiddich heart – none of the flavours are too strong or overwhelming I find though, and it’s very easily drinkable. And by sheer stroke of luck I managed to pick a bottle up for £35 on the way out of Gatwick one day off a clearance shelf! Not bad, when the current price seems to average around £65. Ardbeg 10yo – back to peat, and this one’s an absolute classic. It’s the flagship product of the Ardbeg distillery, and I reckon if I’m out for a night and looking for a default one-dram whisky to finish, and this is behind the bar, then there’s no further analysis needed. Having said that, I don’t own a bottle of 10yo. It’s clean, it’s deep, and it sticks around for a week after you’ve swallowed it. 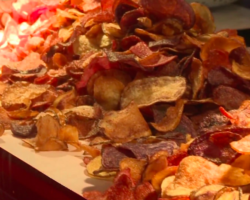 But only one for fans of the smoky flavour. Glenrothes 1991 – man, I must’ve been on crack when I drafted the order of this list… If there was ever a diametric opposite of Ardbeg, it’s Glenrothes 1991. Glenrothes produce a different tasting whisky every year, so the year of production is critical if you’re after a particular one. 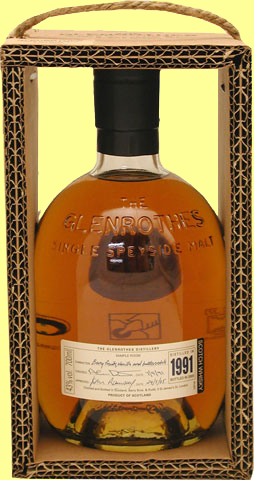 The 1991 (as we discovered at WhiskyLive) is a light, delicate, and spicy concoction, with a vanilla taste to it too. It’s my number 1 go-to whisky when people say “Oh, I really don’t like the taste of whisky” – haven’t yet found anyone whose mind wasn’t expanded by meeting the ’91. 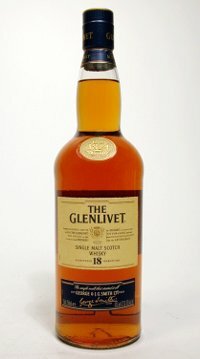 Glenlivet 18yo – probably a large sentimental connection to Glenlivet, as it was my first single malt. I was introduced to these fine things by Whisky Bill in about 1993, and my bank balance has never recovered. Glenlivet 12yo is what you might call a nice “standard” easy-drinking Speyside malt, which you can relax with and spend a bit of time getting to know. The 18 adds a layer, making for a nice toffee, nutty, sweet but not overpowering or sticky dram, with a hint of peat playing around in there, but not the sort of peat you see in the big iodiney, salty, oily Islay offerings. One of the reasons I insisted we visit Glenlivet on our tour (aside from the “homecoming” element) was that I’d joined the distillery’s “club” (aka PR Exercise), and in the welcome pack you receive a key which unlocks a “secret door” at the distillery, and in the room you & your guests are welcomed with a dram of the Glenlivet 21yo. Lovely whisky, but I found it a bit of a guilty pleasure. Comfortable with the 18, though. 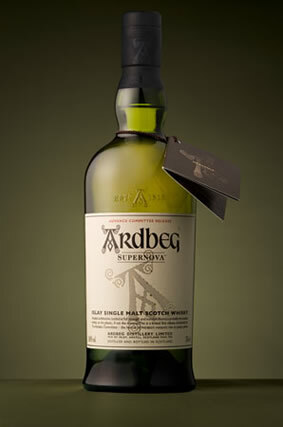 Ardbeg Supernova – if you were to sum this up in one word it’d have to be “experimental”. There was something of a quiet “peat war” going on up on Islay last year, with Bruichladdich announcing the release of their so-frigging-peaty-you-wouldn’t-believe-it-oh-matey Octomore (peated to 141 parts of phenol per million), and almost silently Ardbeg pushed out their 100+ppm “club members only” Supernova release only days beforehand. It really, really is peaty. The Ardbeg 10yo comes in about 40ppm, and the Supernova is so peaty it almost burns. 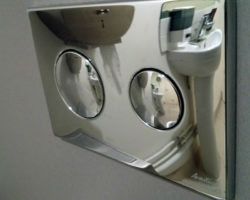 It’s lovely. I mean, not as a regular drink, but as a way to experience what’s possible it’s just sublime. I’ve not tried some in a couple of months, but I remember the nose being deceptively gentle, and it’s not til you get it on your tongue that the fireworks really begin. If you had an extreme cold, you’d be able to taste this stuff through it, no problems. You wouldn’t taste anything else for a week afterwards though (no, not a pre-dinner dram, unless you’re eating army food). Glengoyne 12yo – yep, definitely on crack. Going from the most heavily peated beasts ever manufactured to Glengoyne: a distillery which uses no peat at all! This was the first distillery I ever toured, back in June 2004. 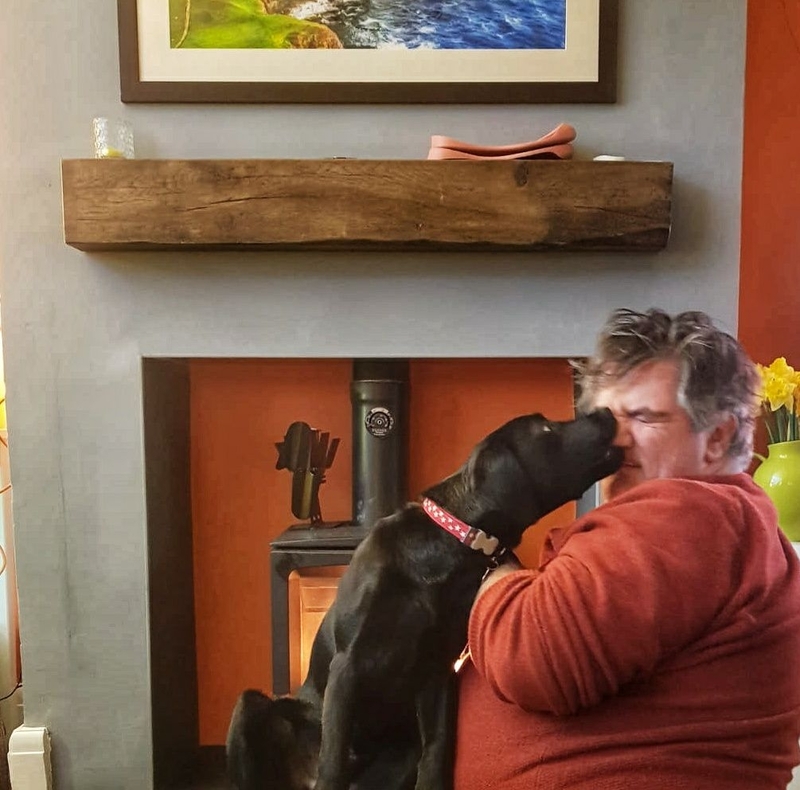 All of the Glengoynes are amazingly easy drinking – I don’t put water in mine – but the 12 has something… a taste that sticks around longer than the others… it’s sweet, but not sherry-sweet, rich, not overpowering, mellow… actually, I’m useless at describing whisky. I just really, really like it, OK? 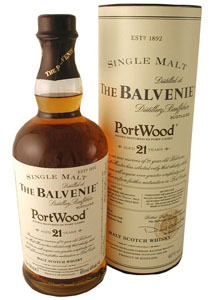 Balvenie 21yo Port Wood Finish – I like to call this “Pirate Whisky”. It’s not because Pirates drink port (they don’t they drink rum), or because they park their boats in ports… it’s just something about the taste that immediately makes me think it’s the kind of thing that you could drink in the Captain’s Cabin. Bloody gorgeous stuff. Only tried it once, and haven’t ever gathered the courage to stump up £72 for a bottle, but it was fan-bloody-tastic. Glen Elgin 12yo – picked this up in an airport and demolished most of it in one sitting with housemate Emzo. A nice malty & minty easy-drinker. You don’t see it around so much, but it’s not too expensive, and definitely a welcome addition to any shelf. If you buy some, let me know and I’ll come around & help you with it if you like. It was the first bottle on my UK shelf to be completely drained. Brora 28yo – back into rare country, this is another one not on my shelf. But oh how I wish it was. Brora closed down in 1983, and there’s a load of different bottlings around of their stuff (quite often whisky bottlers would buy single casks from distilleries and then do their own bottling runs – it’s great for variety and interest, and no doubt for flogging more cash out of completists). I can’t remember ANYTHING about this Brora, other than that it was 28 years old, and that I utterly adored it. Have you ever had something that you knew you loved, but were so busy enjoying it you didn’t stop to think why? Well, that. 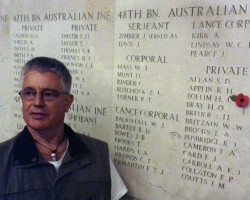 And sadly – Richie informs me – the bottle’s empty. Oh well! I guess just forget about the Brora. It’s not like you’re ever going to see one. 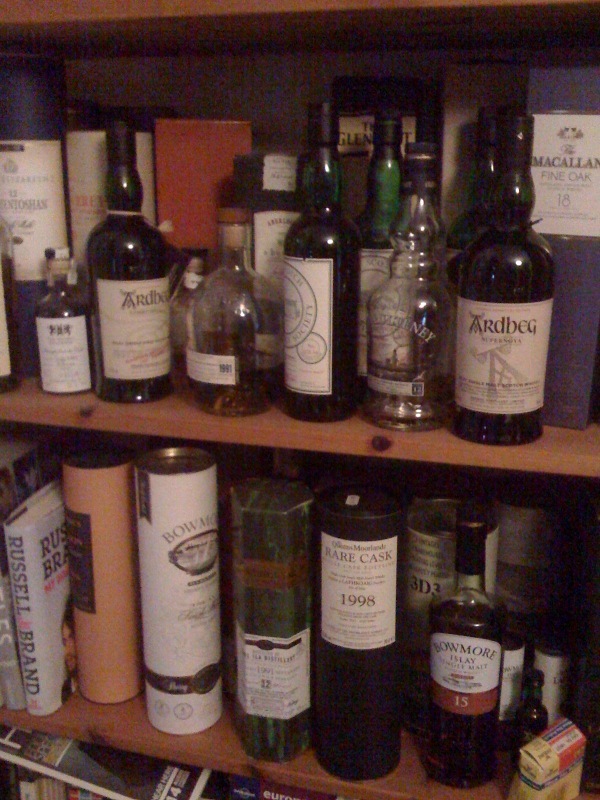 Although the Russell Brand book’s not there any more, and nor is the bottle of Old Pulteney – which met the same fate as the Glen Elgin. Lower-right is the “new” bottling of the Bowmore Darkest.